Lake Tahoe ‘bathtub’ effect from strong wind? Published December 12, 2014 at 395 × 300 in WOW? Wind on Water effect?. 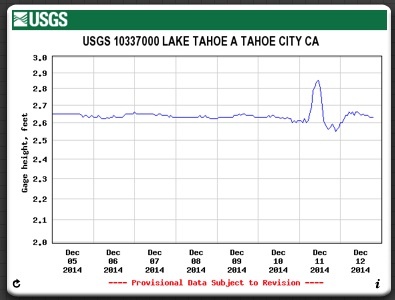 Lake Tahoe ‘bathtub’ effect from strong winds on December 11, 2014?